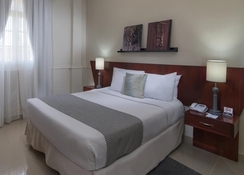 A contemporary hotel overlooking the Puerto Santo Domingo, the Hodelpa Caribe Colonial is just at 4-minutes walking distance from the Fortaleza Ozama castle and just 10-minute walk from the popular Montesinos Beach. 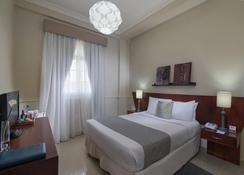 Hodelpa Caribe Colonial is just 1km from the famous Villa Alcazar de Colon. This hotel features on-site dining and free Wi-Fi. 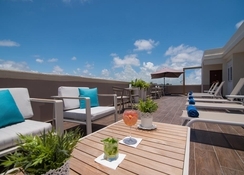 Guests here can relax on the sun loungers on the sun deck or enjoy the concierge services at the hotel. The hotel offers a 24-hour taxi service to its guests. Puerto Santo Domingo is one of the Caribbean's oldest cities and dates back to the 1500s, when many of its buildings including the Cathedral were the first to be built in the New World. Zona Colonial the most historic core is planned with pretty cobblestone street lined with cafes and the Alcázar de Colón Palace, which is now converted into a museum of medieval artefacts and renaissance art. The famous Santo Domingo Museo de Arte Moderno i.e. the museum of modern art and the Teatro Nacional are just at a distance of 10 minutes by car from this hotel. The hotel offers a shuttle to the Las Americas International Airport, which is 26.6km from here. 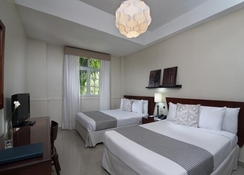 The rooms are individually decorated and all of them feature cable TVs with free Wi-Fi and mini-bars. The well-stocked mini-bars enables you to treat yourself to some snacks in between meals. Guests can also find coffee makers in all the rooms. The rooms feature an old-world vibe to some really quirky décor with vibrant accents. The suites here have soaking tubs and balconies. They also have separate sitting areas. 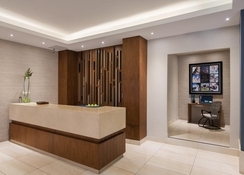 Guests can choose between Executive, Executive Superior, Royal, Honeymoon Suite and Caribe Suite. Guests can treat themselves to a free breakfast every morning which is served in a vibrant restaurant/bar called the Azul Restaurant. The restaurant also has an a la carte menu for dinner and lunch. 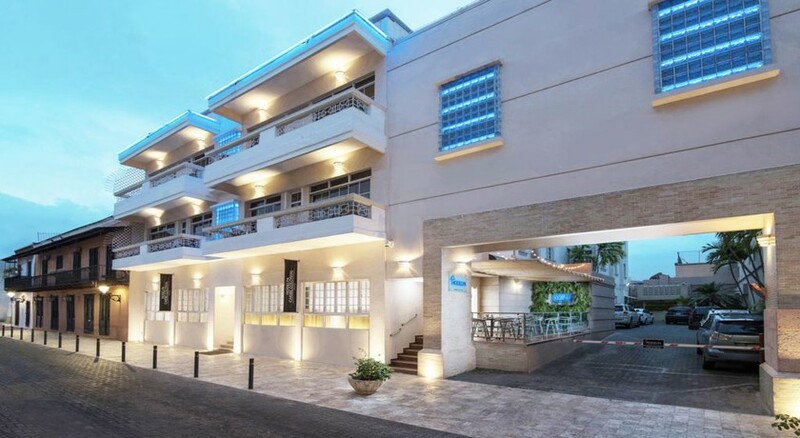 The hotel is surrounded by plenty of good dining restaurants and bars nearby serving international cuisines. The hotel has a sun terrace with city views. The Colonial Zone is a fantastic choice for those who enjoy traveling, architecture and museum visits. The hotel features a streamlined gym to enable you to continue with your fitness regime even while traveling.